If you are the one who want thrill, excitement, serenity, nature's best view all at one destination then the great Himalayan mountain are the place for you. Tourism in the Himalayas, thus, is wonderful experience. Trailing through the Himalayan region, brings you directly in contact with the country and its people, and helps to foster an appreciation of the mountain environments. The travel destinations located in the lap of Himalayas are a true treat fro those looking for something more on their vacations. From romantic weather to exotic flora and fauna, Himalayan destinations will leave you awe struck. From the earliest records, the Himalayas have been revered as the Abode of Gods. This mountain range marks the crossroads of Asia's three main cultures Hinduism, Buddhism & Islam. Want to explore the true beauty of mighty Himalayan peaks, but confused how to do so? 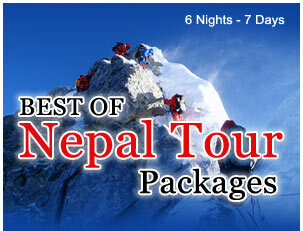 You do no have to put so much of efforts when Himalaya travel tours are here to help you. Customize your trip according to your needs and also get to avail exciting offers, only with Travel Himalayas.